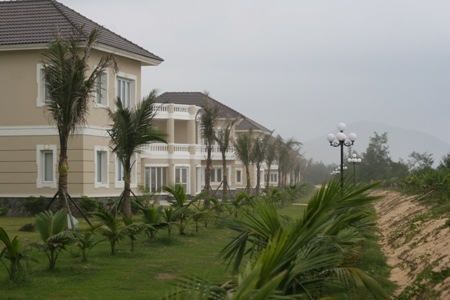 Nirvana Spa & Resort is a 5 star standard resort, located right on the beach at the heart of Lang Co Peninsula, rewarded by World Tourism Organization one of the most marvelous beaches of Southeast Asia. This fine tropical climate resort boards some of the regions most impressive and gracious villas supported by a full system of a 5 star resort services. 3 Region Restaurant (Vietnamese Traditional Food Restaurant) - a celebration of traditional food from 3 regions of Vietnam. An all-day dining venue, with wonderful traditions for delicacies from Vietnam’s 3 regions in a very primitive concept. The out-door space with fresh air and ocean breeze offer relaxing moments. Capacity: 150 pax, open daily. LOTUS RESTAURANT - an emphasis on seafood, where you can select an impressive array of seafood and lagoon food from our all day a-la-carte menu to be prepared by our talented chef. Lotus restaurant is a modernly designed space with a distinct Occidental and Oriental feel and located right on beach front. Enjoy the scents of fresh and unique products from sea and lagoon at our buffet breakfast, lunches and dinners as well as all day a la carte. The natural taste of prawn, squid, crab, mussels… without any spices will bring you unforgettable feel. Capacity: from 60-80 pax, open daily.